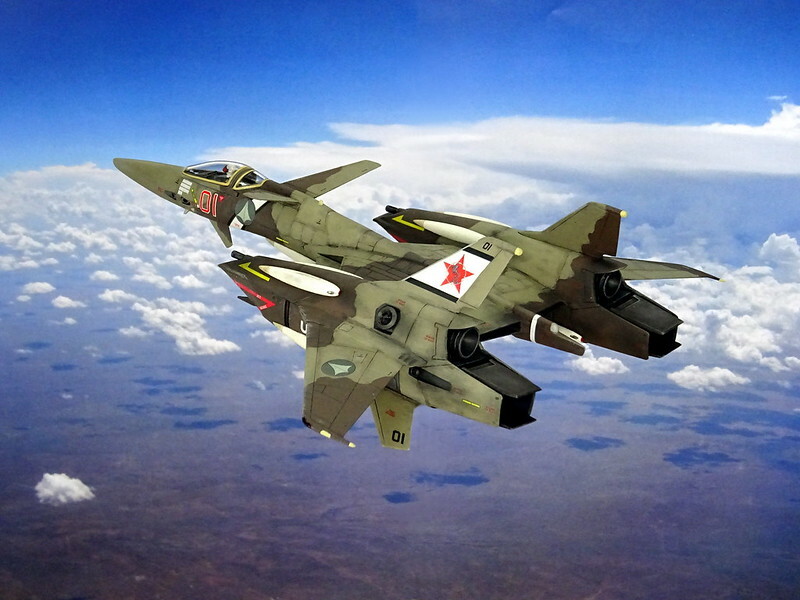 The VF-4 Lightning III began development in 2005 under the initial designation of the VF-X-4. 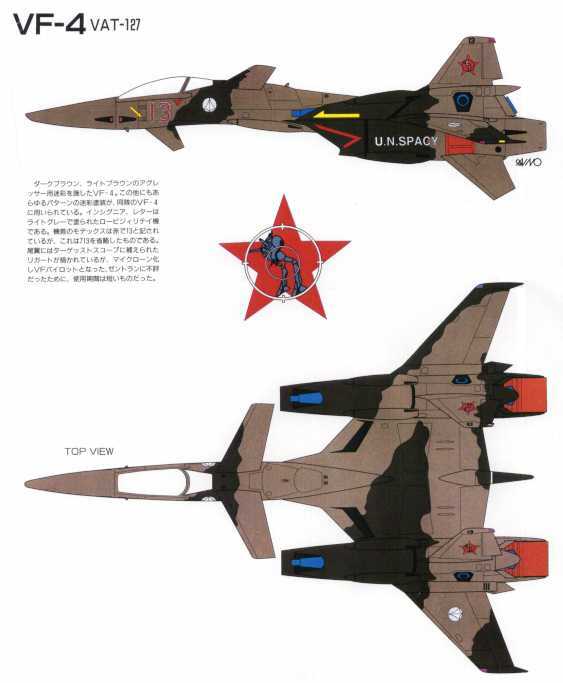 Developed as a successor craft to the VF-1 Valkyrie, the VF-4 Lightning III was designed as a variable fighter that emphasized mobility in outer space. 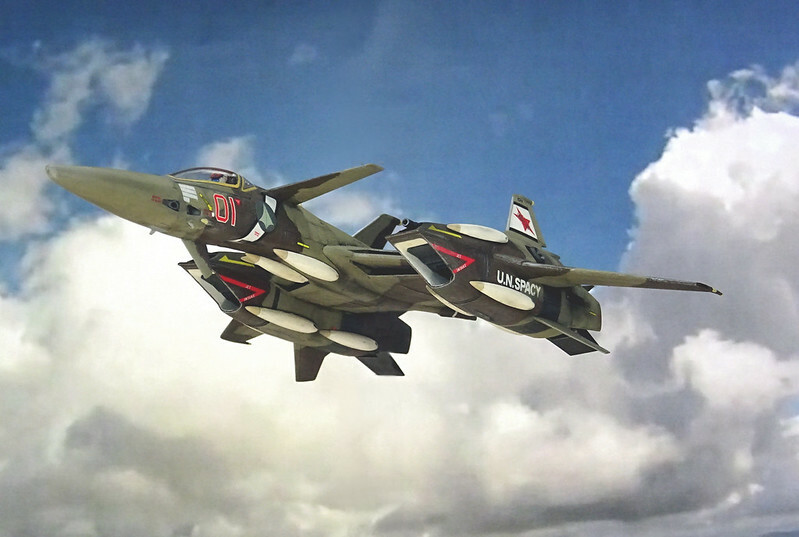 The VF-4's development began with the prototype VF-X-4 and the VF-X-3. 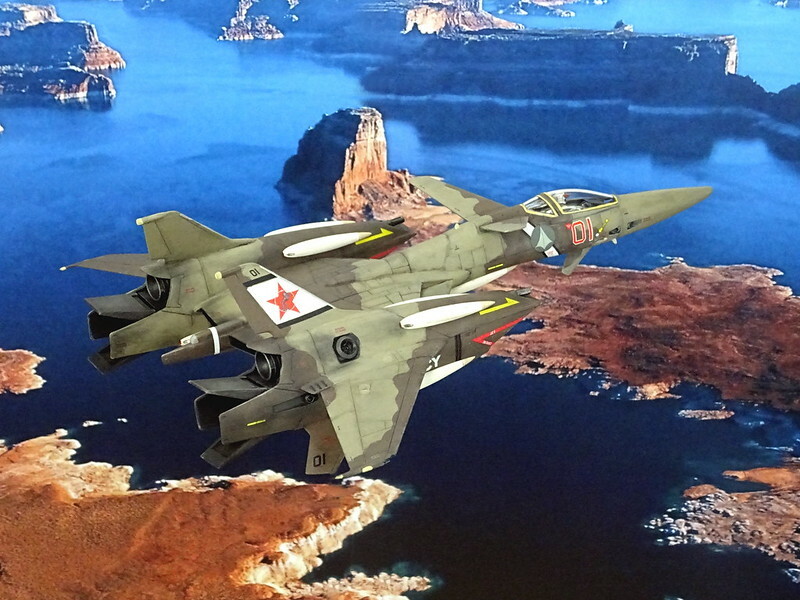 However, when Earth was devastated in Space War I the loss of military facilities also resulted in loss of the VF-X-3. 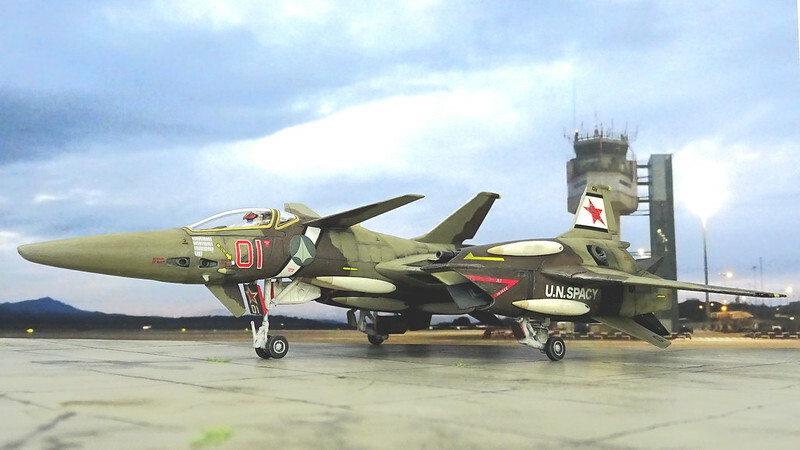 Amongst the airframes under development exist prototype No. 1 craft, VF-X-4V1 and the trial manufactured VF-4A-0 and thus the surviving VF-X-4 was developed and completed as the VF-4 Lightning III. 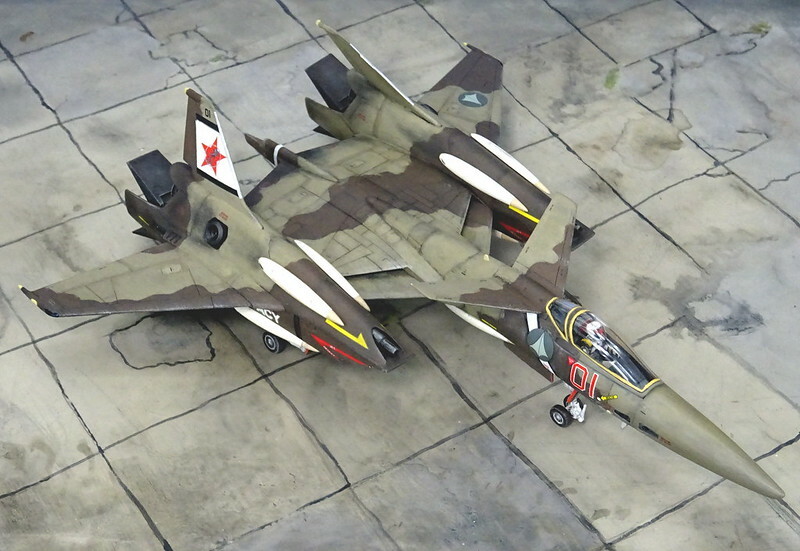 A trial-produced variable fighter, designated the VF-4A-0, was also built using 25% VF-1 Valkyrie parts. 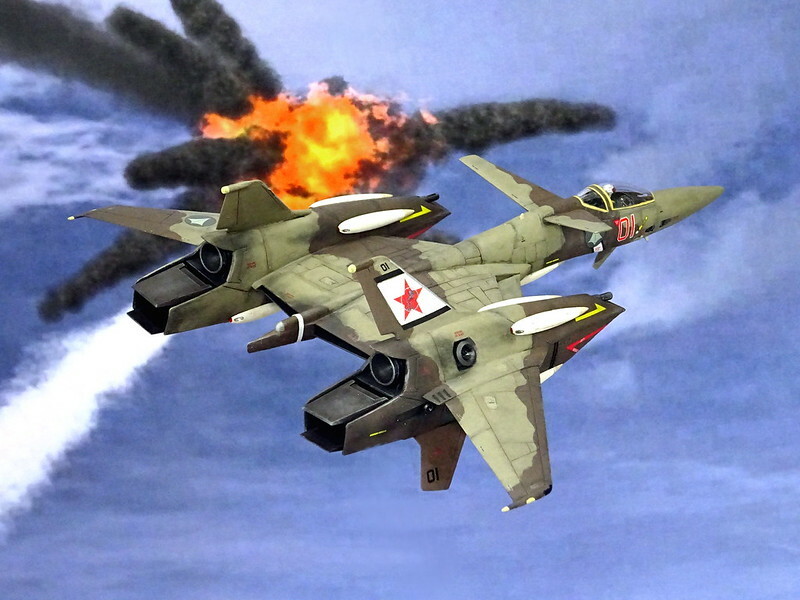 VF-X-4 underwent flight tests, including being test piloted by Space War I veteran Hikaru Ichijo. 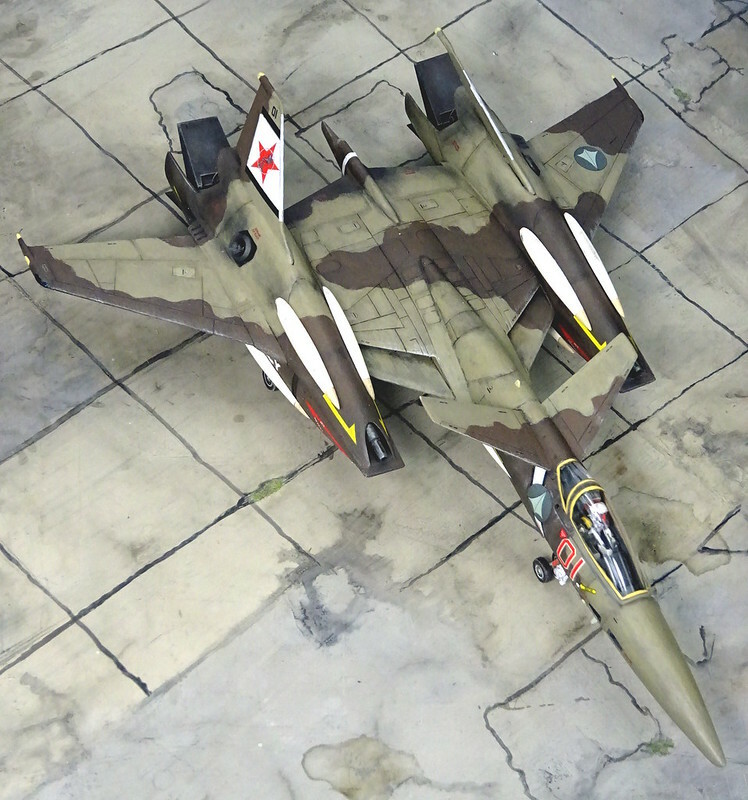 Once successful operational models were ready, the VF-4 began mass production on February 2012. 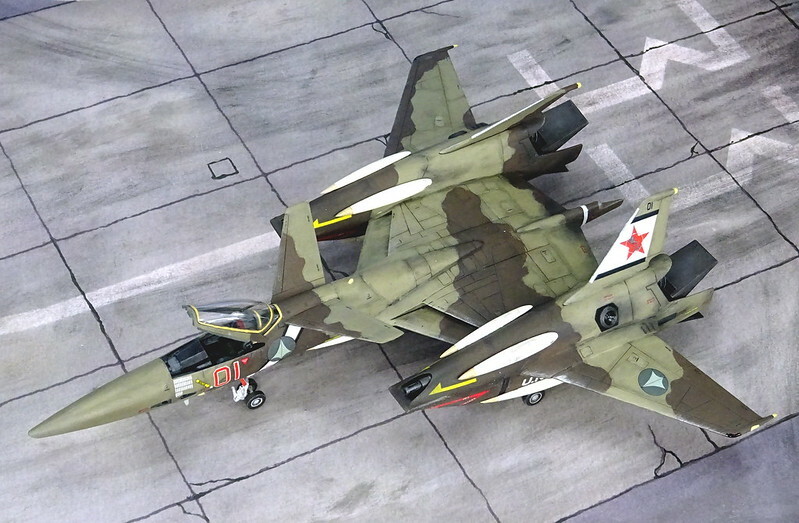 Initial deployment began on the SDF-2 Megaroad-01 in VF-1 Skull and SVF-184 Iron Chiefs Squadrons on September 2012. When the SDF-2 Megaroad launched in the same month, Hikaru Ichijō flew a VF-4 alongside the new colonization vessel as the ship lifted from Earth and began exploration outside of the Sol system. 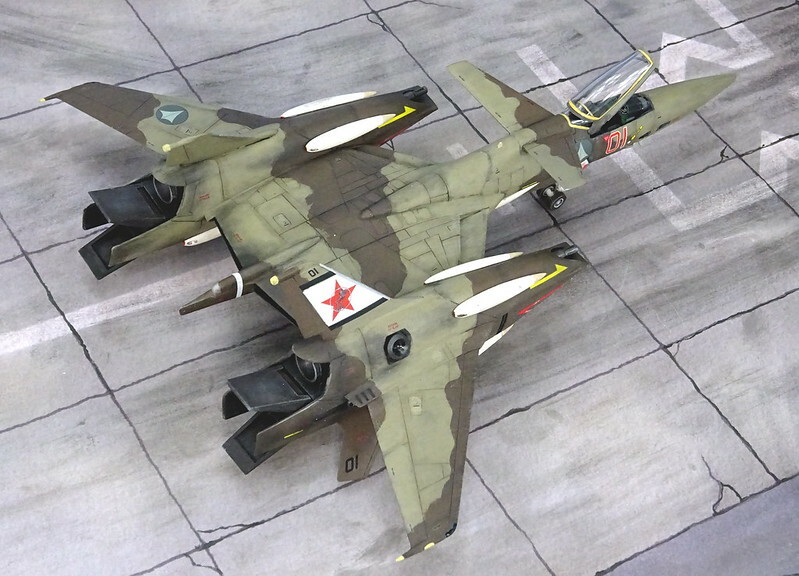 As a result of integrating existing Overtechnology and Zentradi-series technology, the VF-4 had a characteristic three-hulled-type airframe structure remarkably different from the conservative VF-1 Valkyrie design. The three-hulled style of the VF-4 increased fuselage volume, propellant capacity and armament load capability that all resulted in a 40% improved combat ability over the VF-1. Fully transformable, the VF-4 could shift into Battroid and Gerwalk modes like previous variable fighters. 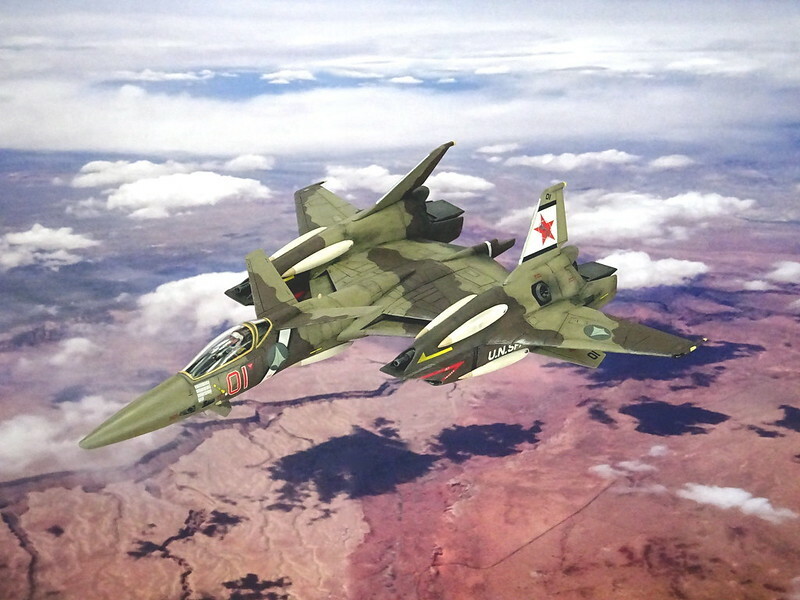 However, the VF-4 did suffer minor mobility problems within an atmosphere and the new type was primarily deployed to the Space Air Corps of emigrant fleets to serve as the main fighter craft of the UN Forces in the 2020s. 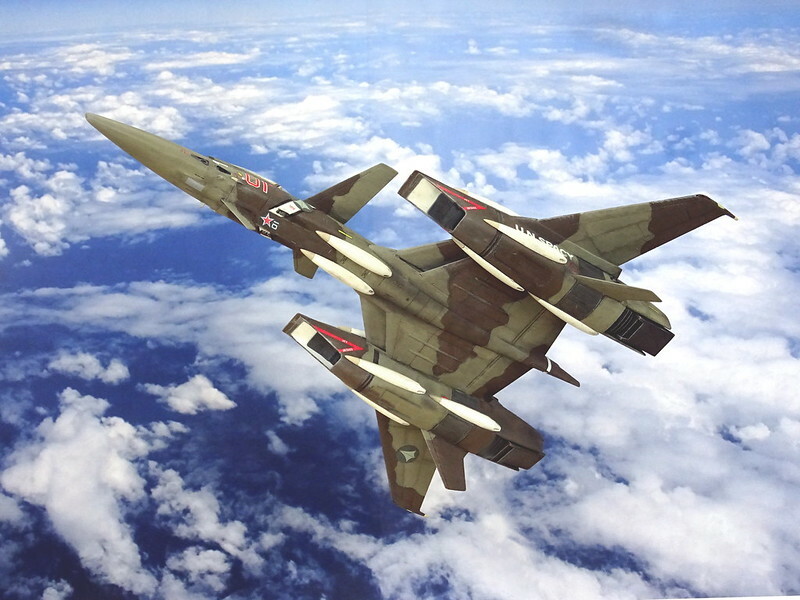 It was because flight performance within the atmosphere was not as good as the VF-1 that the VF-5000 Star Mirage became the main combat craft within atmosphere, while the VF-4 operated mainly in outer space. Built as a space fighter, the VF-4 primary weapons became two large beam cannons, though the craft was capable of carrying a GU-11 gun pod in Gerwalk and Battroid modes. 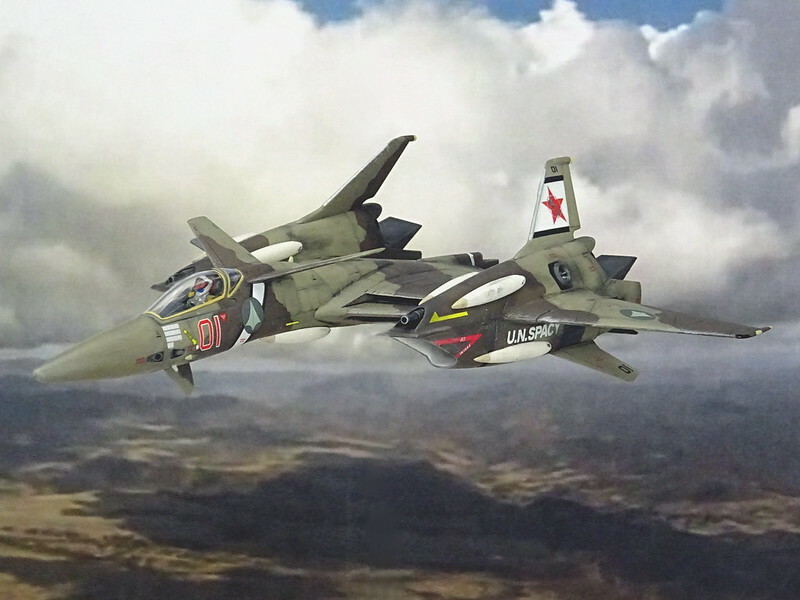 In addition to the powerful primary beam guns, the Lightning III also featured twelve semi-recessed long-range missiles, as well as underwing pylons for additional missiles and other stores. 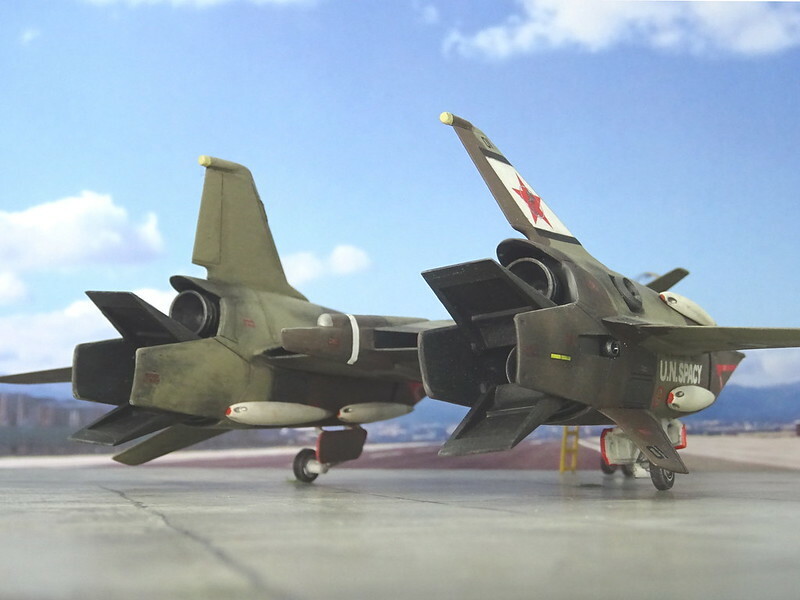 The VF-4 was only slightly heavier than the VF-1, but featured considerably more powerful engines, making the craft ideal for operations deeper out in space. 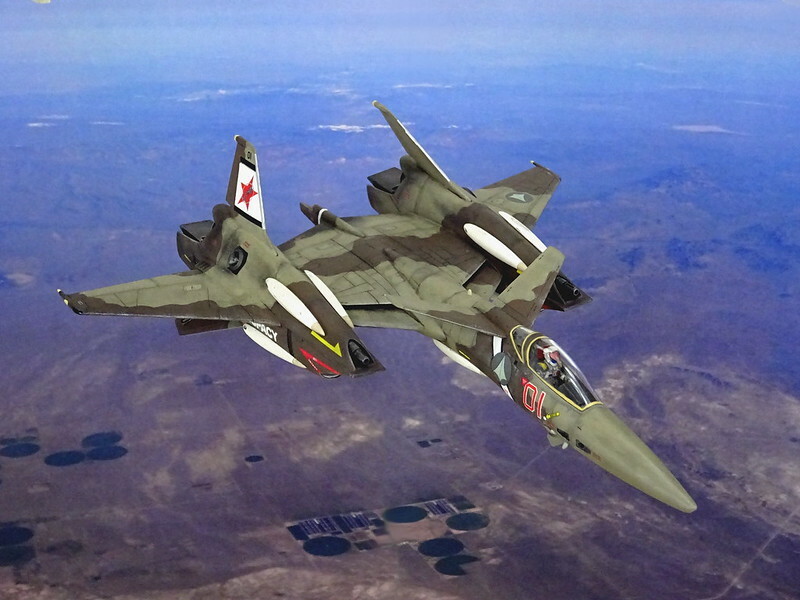 The Lightning III was also much faster in the atmosphere than the older VF-1, although the VF-4’s flight mobility performance was not as great. 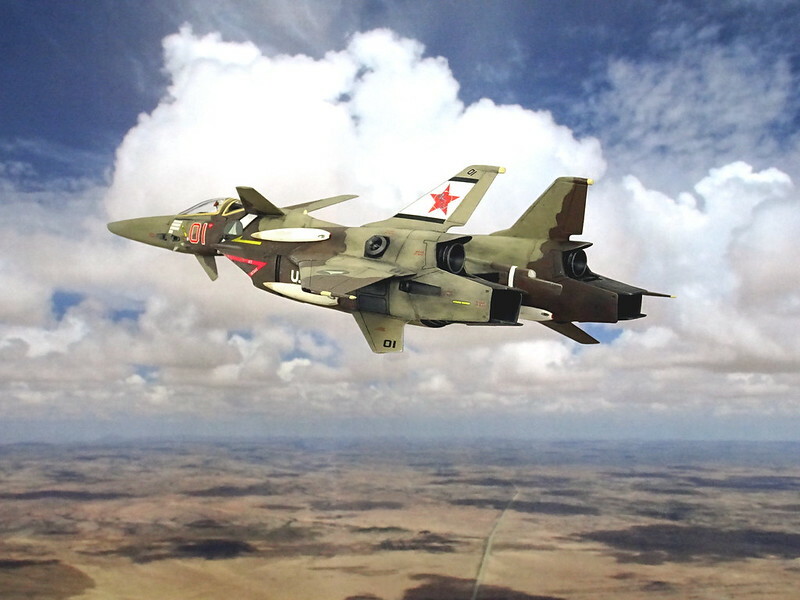 The VF-4 was also notable as the first production variable fighter to utilize a HOTAS system (Hands On Throttle And Stick) for the cockpit HMI (Human-Machine Interface). Furthermore, the VF-4's cockpit was laid out as a single hexagonal MFD (Multi-Function Display) that proved so successful that it was retrofitted into "Block 6" VF-1 fighters, as well as providing the template for all future variable fighter cockpits. 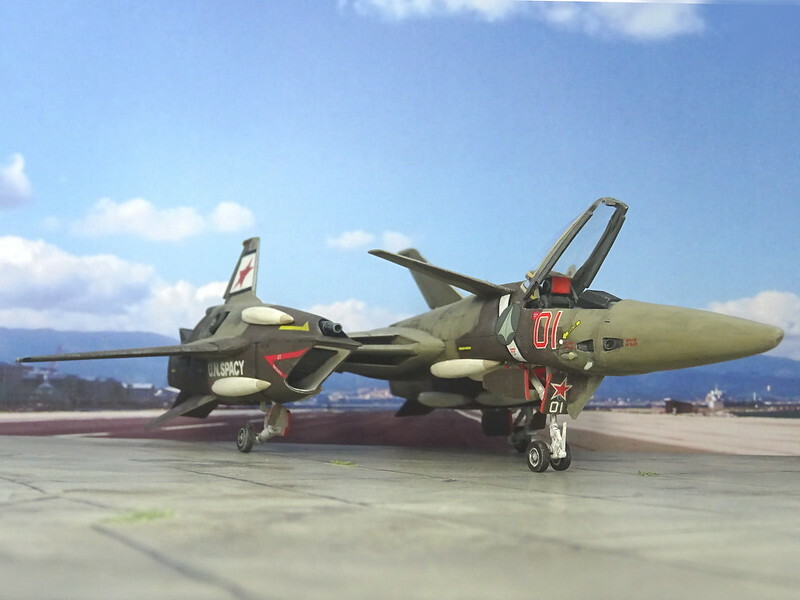 By the end of 2015, mass production of the VF-1 series at last had come to an end. 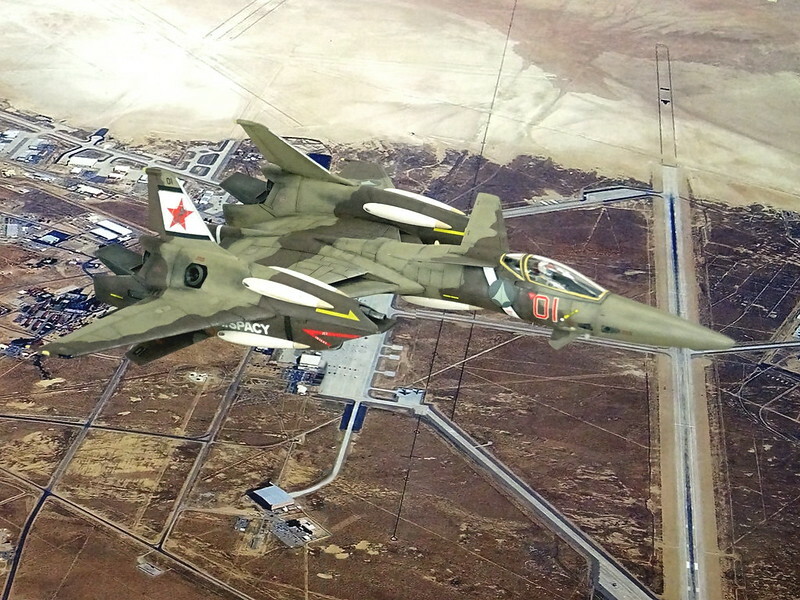 From 2020 onward, the VF-4 Lightning III officially replaced the VF-1 to become the main variable fighter of U.N. Forces. 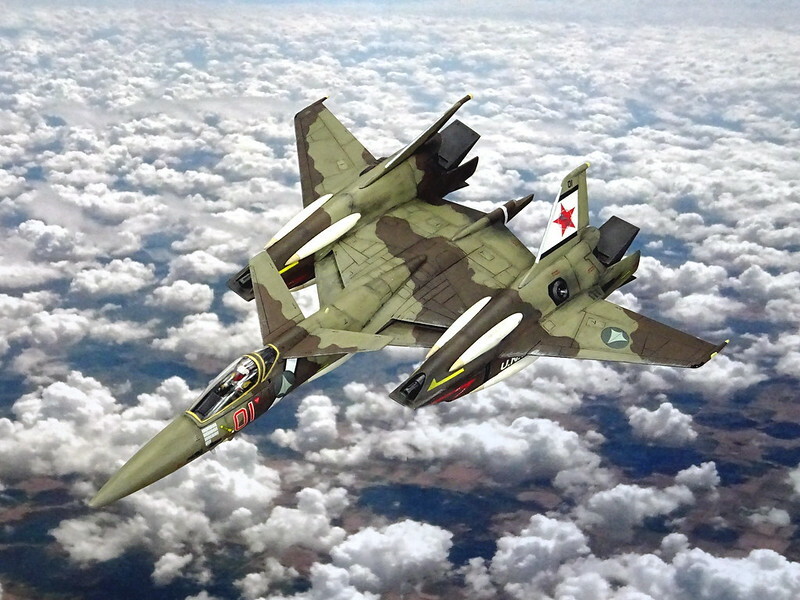 Production of the VF-4 continued for a decade and ceased in 2022, with a total of 8,245 Lightning III variable fighters produced. 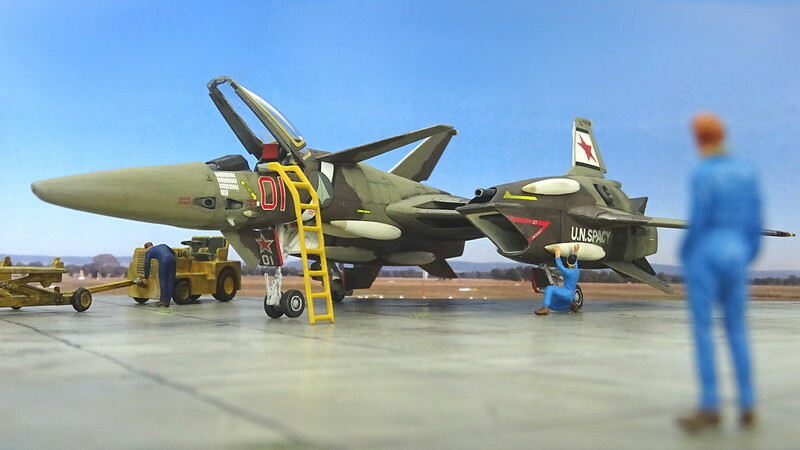 The VF-4 variable fighter remained in active service into the late 2040's but was complemented or substituted in many branches of the UN Forces by the cheaper and more atmospherically maneuverable VF-5000 Star Mirage. 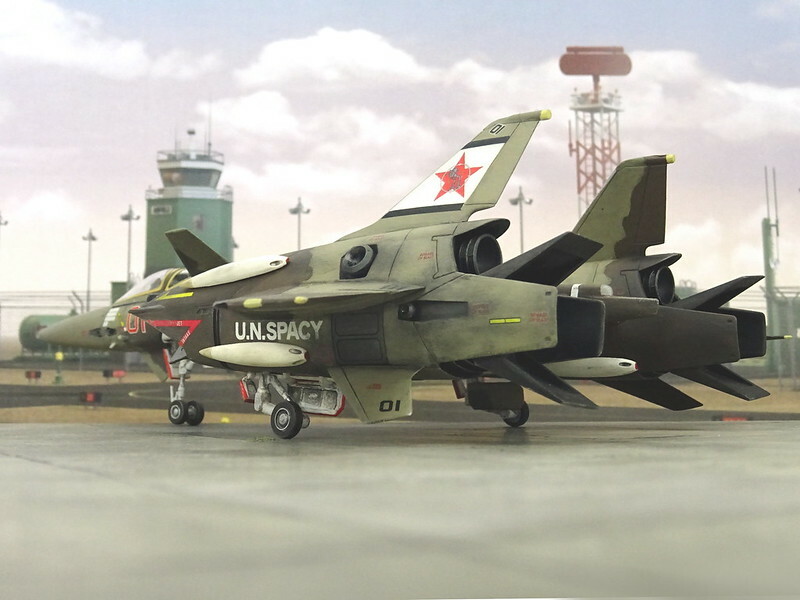 The VF-4 Lightning III was eventually replaced as the main variable fighter of U.N. Spacy in the later half of the 2030s by the VF-11 Thunderbolt. Was soll man sagen?! 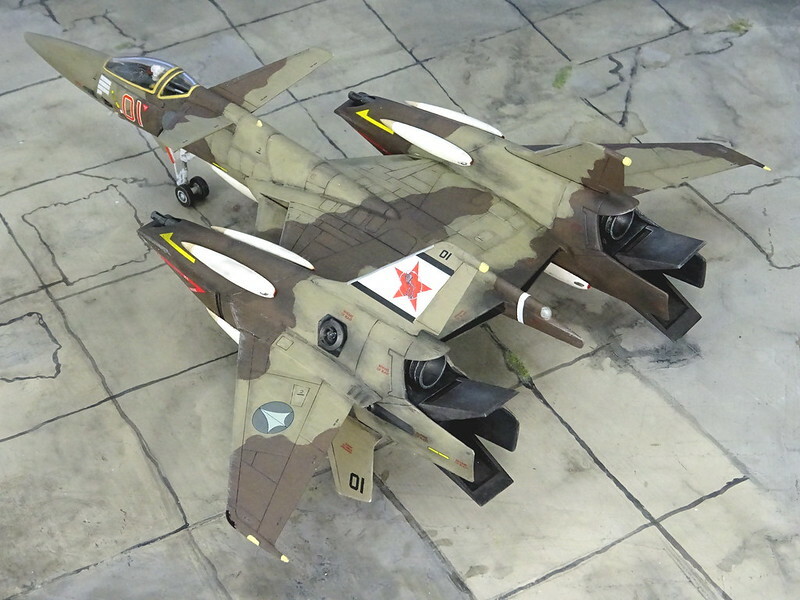 Top Modell, top paintjob, top Bilder! Tolles Modell, super umgesetzt! Wirklich gut gelungen! Klasse Bemalung und Alterung! Und der ganze Background den Du dazu lieferst. Vielen Dank, freut mich, wenn's gefällt! Die Hintergrund-Info stammt übrigens aus offiziellen Quellen, ist "echt". Diesbezüglich ist lediglich der Standort Mongolei für die Flugakademie eine eigene Erfindung, bzw. ich wollte etwas anderes als einen Ort in den USA, was man ja sonst erwarten würde. Aber in der regel versuche ich alle meine Modelle mit solchen Infos anzureichern - das hilft auch, Motive für die Bilder zu finden oder diese zu "verkaufen". Der Anspruch ist dann schon, dass alles ein plausibles Paket wird. Diesbezüglich bin ich echt überrascht, wie effektiv der Tarnanstrich in der passenden Umgebung ist!